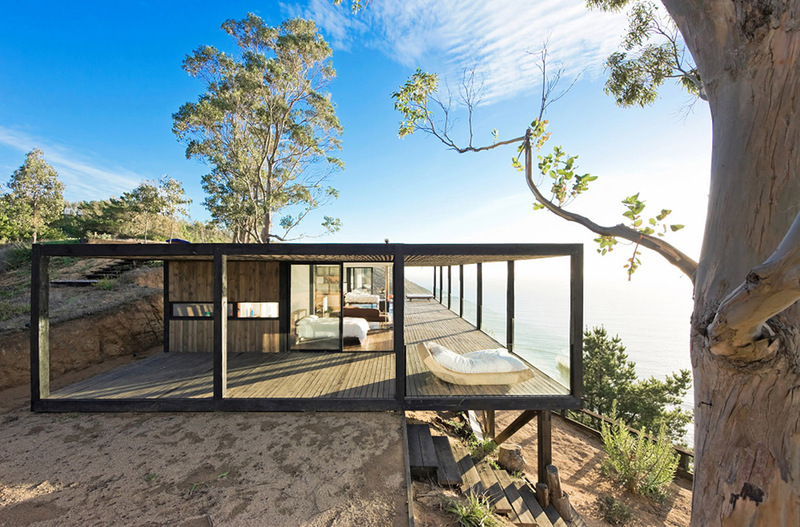 Located on the Chilean coast, the Till House (Casa Till) offers splendid vistas of the Pacific Ocean. The WMR Arquitectos`s creation stands up beautifully on rocky cliffs and consists of two bedrooms, a living room, a dining room and a kitchen. All rooms share a common space during the day, but by moving the doors this space is easily transformed into separate areas for the night, providing bedroom privacy. We are in love with the sunny terrace on the roof. Watch the video about the Till House and you will fall in love with it too!